Though a school known nationwide for its elite football program, the University of Southern California is a lot more than just high profile sports programs in sunny Southern California; it also boasts a few top ranking graduate programs that deserve elite status themselves. 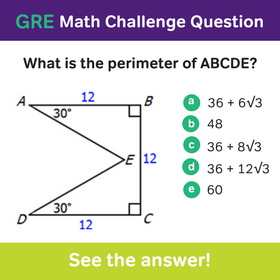 For this reason, it’s imperative that you have the right GRE scores to make the cut. So what are they exactly? To see where those scores fall, check out the GRE percentile rankings. Of course, you could argue that this isn’t perfect, and I’d have to agree. This is just intended to give you a general idea of what you should be aiming for. 🙂 Admissions is not an exact science. Please advise me if it is worth taking a chance to apply for ms in Material science and engineering at USC? Hello, I have scored 311 in GRE and *& in TOEFL. My academic CPI is 8. So, are there any chances for me to get admission in USC , LA for MS in CS ? I HAVE A GRE SCORE OF 320 QUANT 170 AND VERBAL 150 WITH A AWA SCORE OF 3.0. I HAVE PUBLISHED AROUND 15 PAPERS IN SAE INTERNATIONAL USA AND TWO PATENTS ARE PENDING. I HAVE A WORK EXP OF MORE THAN 2 YRS IN AUTOMOTIVE R&D. I HAVE ALSO STARTED MY OWN DESIGN FIRM FOR WHICH I GOT AWARD FOR US BERKELEY AND WITS SOUTH AFRICA AND MANY OTHER INTERNATIONAL AWARDS. I WAS FEATURED IN NATIONAL TELEVISION MANY TIMES FOR AGGRESSIVE BUSINESS STATERGY AND INNOVATIVE PRODUCTS. MY QUESTION IS WITH A LOW AWA SCORE DO I STAND A CHANCE IN GETTING ADMITTED TO OHIO STATE, PENN STATE, UMICH, CORNELL, CLEMSON AND OTHER UNIVERSITIES OF THIS RANGE. P.S. YOU BLOG IS REALLY HELPFUL. Hey Jaideep! Those are impressive experiences. If you’re worried about the AWA, then I’d reach out to those programs to see how heavily they weight them. It will vary by school. The good news is that a lot of times you can make up for this in your Statement of Purpose and other writing samples. Thanks for the reply. Can you suggest me good universities where I can stand a chance of getting admission along with good financial aid. Also guide me if the universities I am applying are correct choice for the scores and profile I have. Clemson, Ohio State, UMich, Penntate, Michigan Tech, UCSD. Suggest me if my profile can get me admitted to a university with beter reputation then the one selected. I am interested in Master’s in Mechanical with specialization in Dynamics or Combustion. how much gre score required for MS in Game Design And Development . Does all major required same Gre score or it differ …???? Do I need to retake gre for some decent university . Do I have to suffer from any problem with this score during admission and visa …. trying to apply for fall 14 ..
Hey Rohan! That program probably has very similar requirements to the Computer Science degree, which really means high Quant and average verbal. 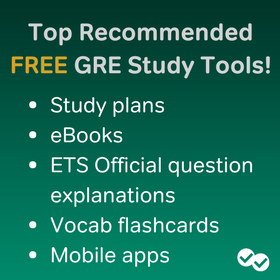 You’ll need the GRE for almost every decent program in the US (there are a few exceptions). 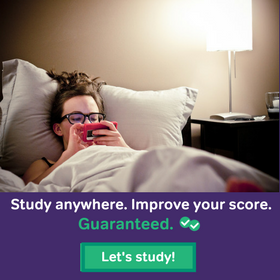 Your GRE is likely on the low end for the upper level schools though. Good luck! My GRE score is 315 (Quant I have high score: 169), But verbal is low (146). I have 2 years of Work experience. My UG % is quite high. CGPA close to 9. What are my admission chances in Southern California University? I heard since the university is in California region, this is still ambitious for me. Please reply back. I intend to do MS in Computer science. I have one research paper to my credit and my academics also good (9.0 CGPA). Is CS difficult in Southern california? At least from your past experiences. My name is Sunny. I am planning to pursue ms in cs with specialization in video game development from USC. I have completed my bachelors and masters in computer application with 68.8% in both and have one year of work experience as a programmer. My main concern is matching up with the admission criteria of USC. I am a little disappointed with my academics. Its my passion forcing me to pursue this course. As a hobby , I have developed a few 2D games using DirectX SDK. I am planning to give GRE by november 2013 and would like to apply for fall 2014 batch. All I want to ask from you is that, will there be any chance of my application being selected in USC , if i score 320 or above in GRE. Hi Chris, I am planning to apply for USC electrical engineering for spring 2014. GPA 8.75/10 plus 3 yrs of exp in electronics industry . TOEFL 98 , GRE 306 and filed 3 patents. What are my admission chances. And a CGPA of 8.53. Do I have a chance of getting into the Electrical Graduate program in USC?? Please Let me know if my Quants marks are enough. I got 312 score in GRE. What are my chances of getting admission in USC?? Hey Mansi! I can’t say for certain. Remember there are a lot of different points that adcoms consider when reviewing applications. Definitely reach out to your program to get a better idea! Thanks a lot for this estimate ! I wanted to know the minimum GPA required for USC. If I get around 325-330, will an average CGPA like 7.5 affect my application ? Hey Ritika! For most programs, there is no “minimum” anything. I’d check with the program directly to see if they can offer any insight! Thanks a lot, Chris for this significant piece of information. I just wanted to ask, If you could provide me with few more Universities which offer good graduate programs in the field of IT or Computer Security & their respective GRE scores. Hey Prashant! Admittedly I’m not too familiar with IT or Computer Security, but I’d check out US News and then head over to thegradcafe.com and see if you can find other people talking about programs. I am also planning for Computer Security / Information Security . I have listed the following universities, might be helpful for you. Hey Thanks a bunch, Sandeep! I have CMU, & GeorgiaTech already on my list. And, will definitely checkout Purdue & Northeastern!